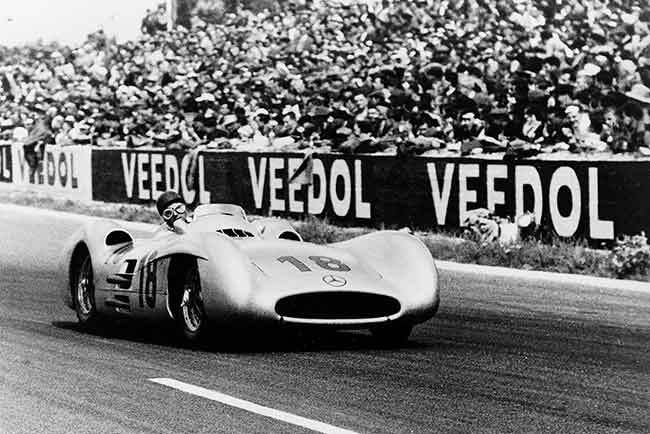 Mercedes-Benz have announced their 2014 Goodwood Festival of Speed line-up, running between 26th and 29th June. 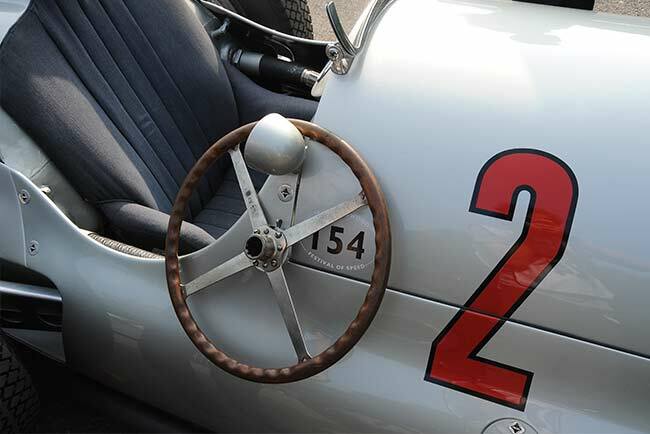 Mercedes-Benz will be one of the headline marques at the 21st Goodwood Festival of Speed 2014, the theme of this years event is Addicted to winning, fittingly Mercedes 2014 Goodwood Festival of speed line up celebrates some of their greatest road and track cars and the the drivers that have piloted them to victory over the last 120 years. 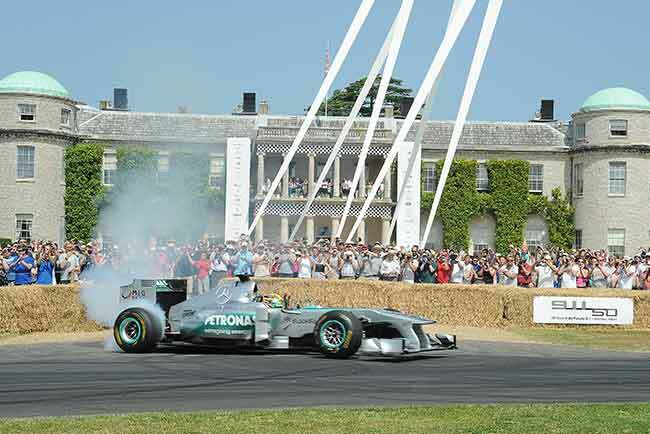 Starting with the famous Festival of Speed sculpture, created by Goodwood’s artistic genius Gerry Judah. 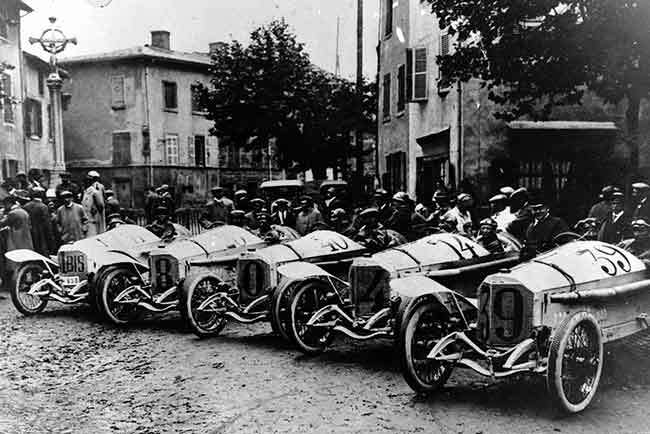 The theme of which will be Mercedes-Benz and promising to be the most dramatic yet. The sculpture will be officially launched on the evening of the Moving Motor Show, Thursday, June 26. 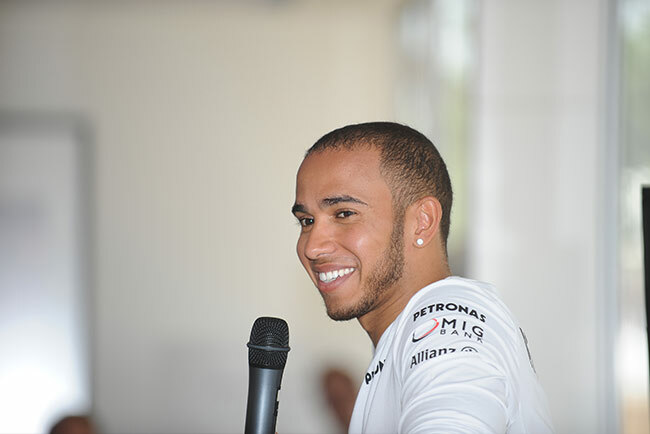 On-track, the action will be led by Lewis Hamilton as he tackles the famous hill in his Mercedes Formula One car on Sunday 29th. 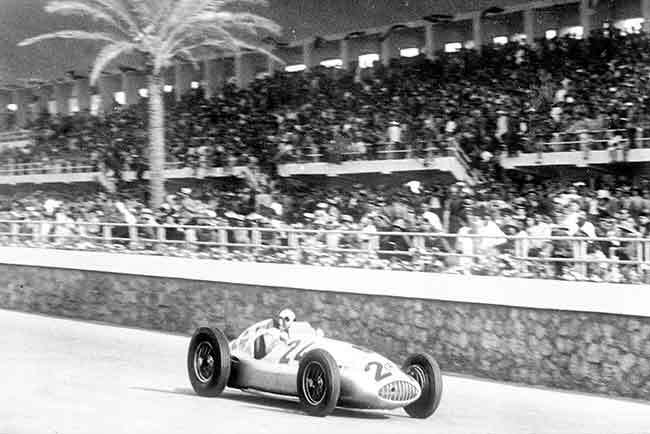 He’ll be joined by iconic Mercedes cars from the last century – from the Mercedes Grand Prix racing car that formed part of the trio that scored a one-two-three finish at the French Grand Prix in 1914 – to the beautiful and brutal W 125 and W 165 Silver Arrows. Among the rarest of the cars to be taking on the Hill with be a 300 SLS from 1957, joined by the wonderfully eccentric 500 SL wide-arched rally car from 1981. 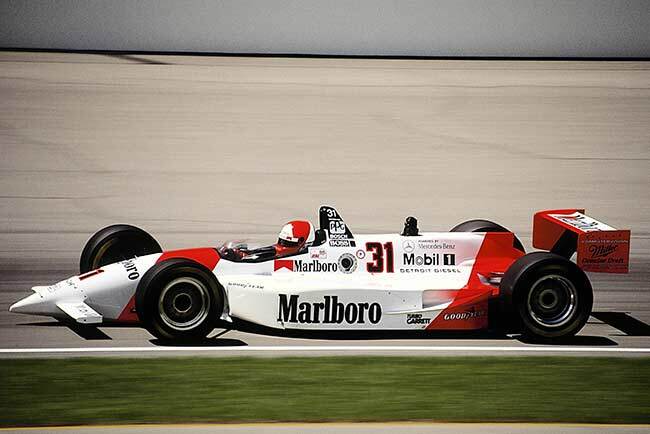 Then there are Mercedes racing cars from the group C era of sports car racing, the Sauber-Mercedes C 9 and the CLK-LM from 1998 and from across the pond the Penske-Mercedes PC 23 IndyCar from 1994. 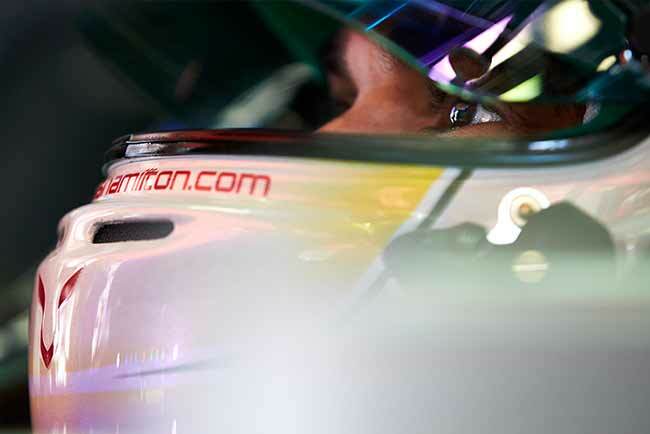 More modern racing stars include an SLS AMG GT3 racer along with the DTM Mercedes AMG C-Class Coupé. Mercedes road car fans will want to see one of the most extreme AMG super cars yet, the SLS AMG Black Series and the mighty A 45 AMG hot hatch. 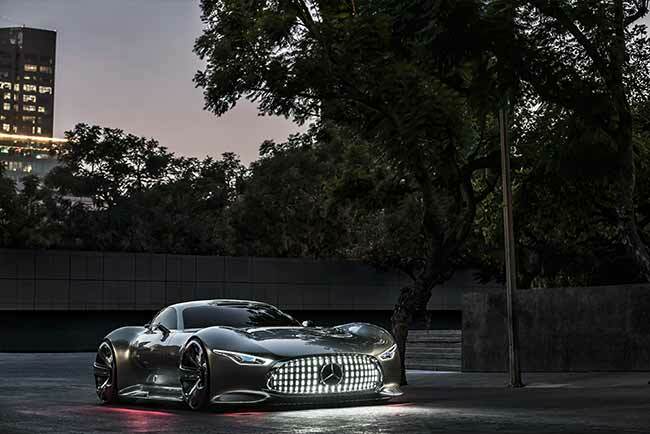 On static display meanwhile will be the Mercedes-Benz AMG Vision Gran Turismo concept – first seen last year at the Los Angeles Motor Show and making its UK debut at Goodwood. 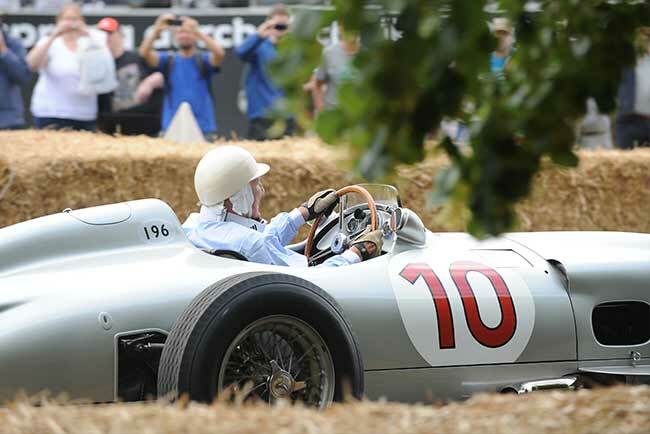 Visitors to Goodwood will be able to drive the car virtually on the Goodwood Hill via the Sony PlayStation 3 and Gran Turismo 6. 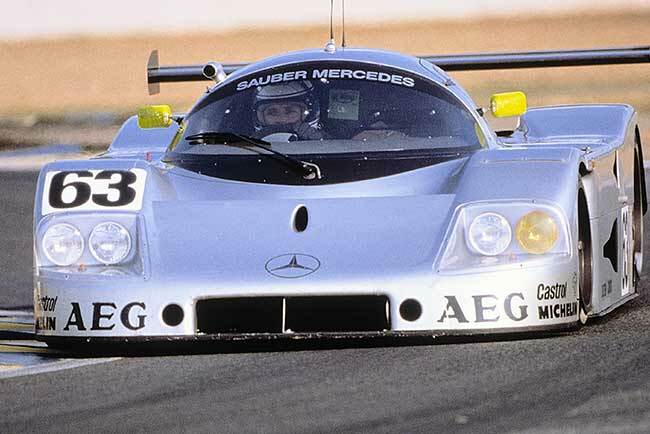 Driving Mercedes-Benz racers and road cars for real at Goodwood will be a line-up of legendary drivers – from Roland Asch to Anthony Davidson and Dario Franchitti, Johnny Herbert and Silver Arrows driver Hans Herrmann, Klaus Ludwig and Jochen Mass, Sir Stirling Moss, Paul and Sir Jackie Stewart, Bernd Schneider and Karl Wendlinger.